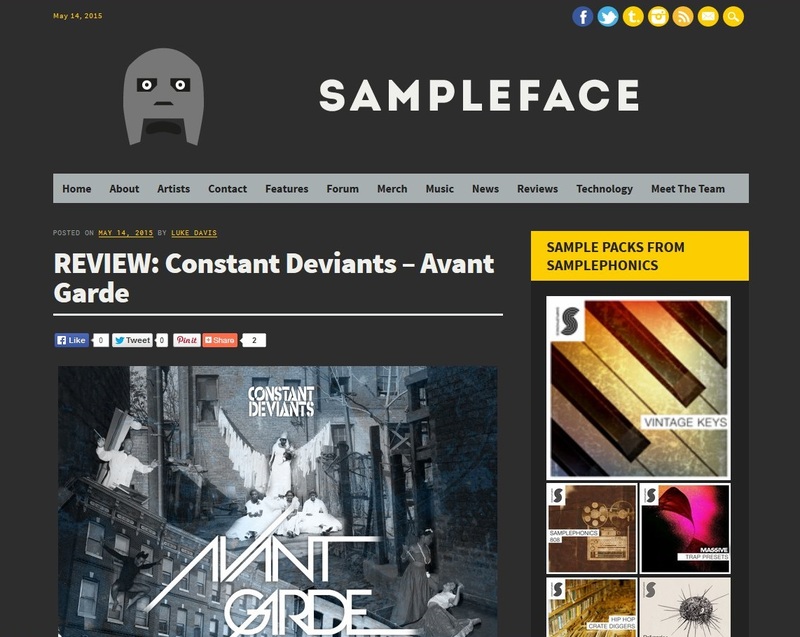 Hip Hop duo Constant Deviants released their fourth album “Avant Garde” last week available through their self established Six2Six Records label. 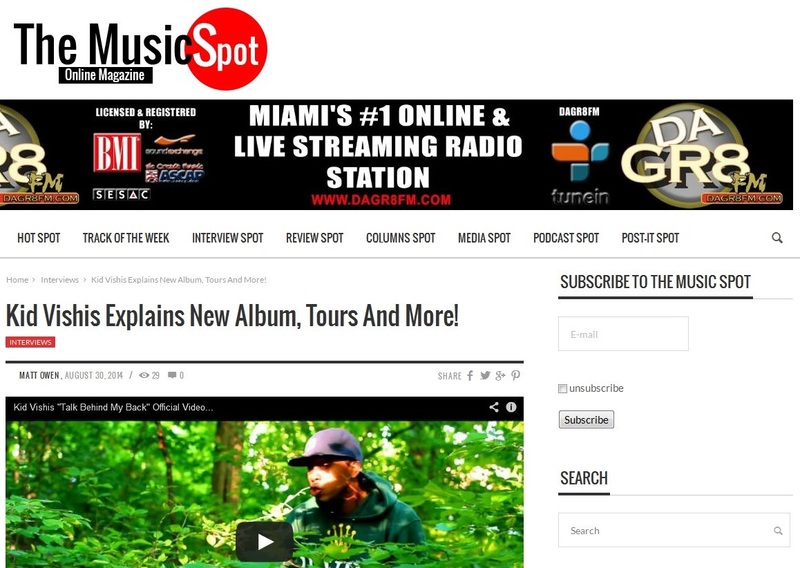 Having already endorsed his new album “Timing is Everything” in an earlier review, the UK’s online magazine The Music Spot sat down with Detroit MC Kid Vishis to get a better understanding of the man behind the music. They discussed the origins of his stage name, how he first started recording and which hip hop artists had the most profound influence in the way he developed his own style. Kid Vishis then explains the turning point in his career which ultimately led him to record the debut album, and outlines the writing process and the concepts behind the tracks. The interview then ends with a focus on the future, both in terms of the immediate year ahead with international tours and further releases, and his aims longer term. As you’d expect from the younger brother of Slaughterhouse veteran Royce da 5’9″, Kid Vishis pulls no punches in his lyricism and reinforces his reputation as one of the most talented emerging MC’s in the game today. We have arranged press & media coverage regarding this release with a wide range of physical & online publications in the USA, Canada, UK, Europe and Australasia throughout the summer, with still more to come in the weeks ahead. 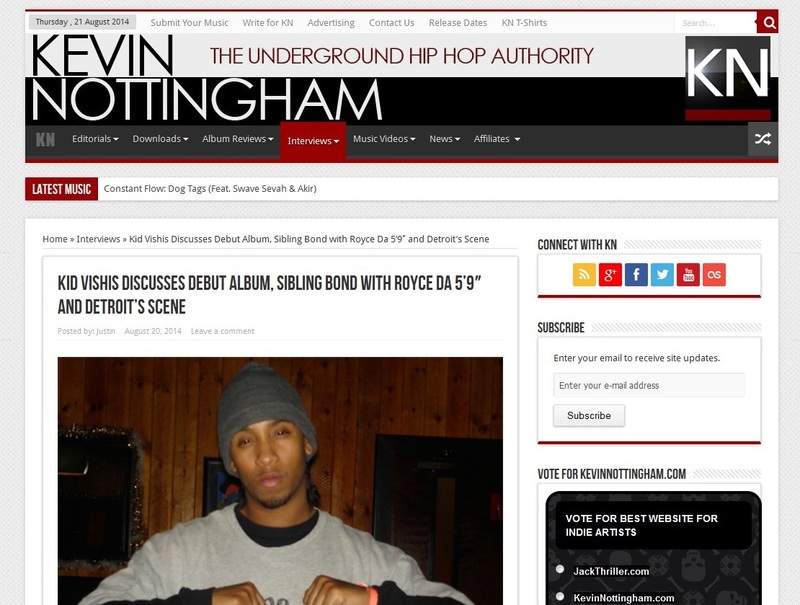 Kid Vishis jumped on the phone recently with KevinNottingham.com writer Mazin Sidahmed to discuss the release of his debut album “Timing is Everything” and the vision and concept behind the making of it, and the reasons for being the sole MC throughout with the exception of one guest appearance by his brother Royce da 5’9″.